Think you can’t get an auto loan? Have you been turned down by other dealers and banks? Think the buy here, pay here car lots in Virginia are your only option? 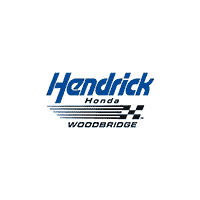 When you need a bad credit car loan in Virginia, Maryland or the Washington, DC area, Hendrick Honda is here for you. Our finance professionals specialize in bad credit auto loans and getting you approved for the new or used car of your dreams. We have established relationships with banks and lending institutions that allow you to get the best auto loans Maryland and Virginia has to offer with rates significantly lower than a buy here pay here lot. Even if you have been turned down by other banks and dealers, fill out our online credit application and let our loan specialists arrange financing for your next car, truck or SUV. Call us today at 877-604-6192.